Puntland was established in 1998 as an autonomous state in Somalia. Local politicians, civil society and clan leaders had decided not to wait any longer for a functioning central government in Mogadishu and set up their own regional administration. Puntland is located in north-east Somalia that has a large and wider area and population more than 4 million. 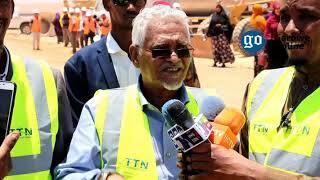 Puntland has so far remained a largely peaceful place, at least when compared to the war ravaged south. The state provides basic but essential governance services. The economy is recovering and the port of Bossaso has become a major trading hub. There are several UN agencies; International NGOs operating in Puntland and also the European Union, United Nations are the biggest donors in Somalia. They have liaison offices in the region. Puntland’s leaders frequently travel abroad to meet with officials and representatives from the international community, and the leaders of federal democratic republic of Somalia and neighboring countries. 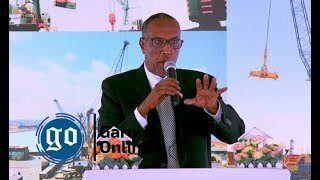 On January 8, 2014, the Puntland parliament elected Abdiwali Mohamed Ali “Gaas” former prime minister of Somalia as the region’s new President by one vote. Ever since, Puntland’s stability remains fragile, Poverty rates are disastrous, security forces are weak and poorly paid for last couple of months, and corruption is rampant. 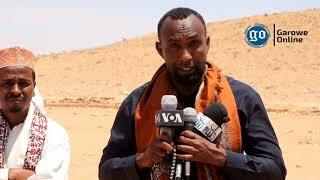 Clan struggles persist, criminal networks and terrorists carry out near-daily attacks on Puntland security forces in Garowe, Galgala, Galkacyo and Bosaso, often operate freely and Al-Shabaab fighters have become powerful in the region. 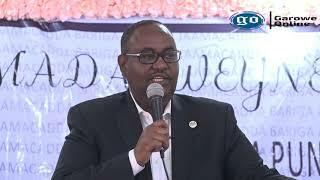 The security of Puntland became worst when the President Of Puntland Dr. Gaas’ has sacked most of the top security leaders in Puntland and appointed some of his close allies abroad who have no experience in Security, Governance and even Puntland regions. Three weeks ago now the UN, compound in Garowe was attacked by terrorist group Alshabab, and killed more than 8 U.N workers and wounded dozens, afterwards there was no clear investigation yet. Two days ago member of parliament have been assasinated in Galkacyo where the reconciliation conference of Puntland will take place in the upcoming month (June) even thought, the security on the ground is fragile. Corruption prevails in many sectors of the administration, including security forces, public service employees, and ministries. Lack of resources and inability to pay civil servant salaries, and security forces fuelled incentives for extortion and bribery. Security forces tend to sell their arms as substitute for their salaries. The commercial hub of Puntland, Bosaso city, has become an epicenter of terrorist attacks in the region, where Al-Shabaab elements revamp their operation in every two days. Political division, weak leadership and lack of proper decisions of the current Puntland’s President Dr, Abdiwali ali (Gaas) are the possibly the cause for insecurity and instability in the region. What happened before three weeks in Garowe the capital city of Puntland will send a clear signal to the international community, local people and neighboring countries. Four U.N workers have been killed and there is no clear and concrete investigation thus far except for condemnation of the attack. This is the first time to see an attack of its kind in Puntlad’s capital city, Garowe where eight UN Staff have been killed. But the last five months, security situation in Garowe has deemed to be very weak, and possibly any further damage can happen if the government will not take full measures. In order to achieve a full comprehensive security and development in Puntland, it is very important that all security institutions must be reformed and the security policy should be instituted. Insecurity has had devastating effects and shattered the lives of young people in Puntland. Many have been forcibly recruited into clan based militias, and separated from their families. They have remained unemployed, and their traditional livelihoods disrupted. Their future is uncertain leading to hopelessness in the region’s biggest cities Garowe , Galkacyo and Bosaso as they travel on the desert and Mediterranean sea in search of better life. For this situation, many youths have been subjected to insecurity in Puntland. Terrorist organizations like Alshabab have recruited into armies or militias. Many more are displaced, separated from their families and smuggled on Mediterranean ocean. 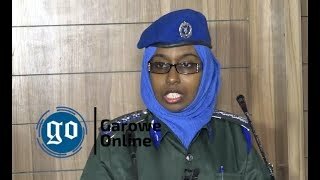 The views expressed in this article are the author's own and do not necessarily reflect Garowe Online's editorial policy.